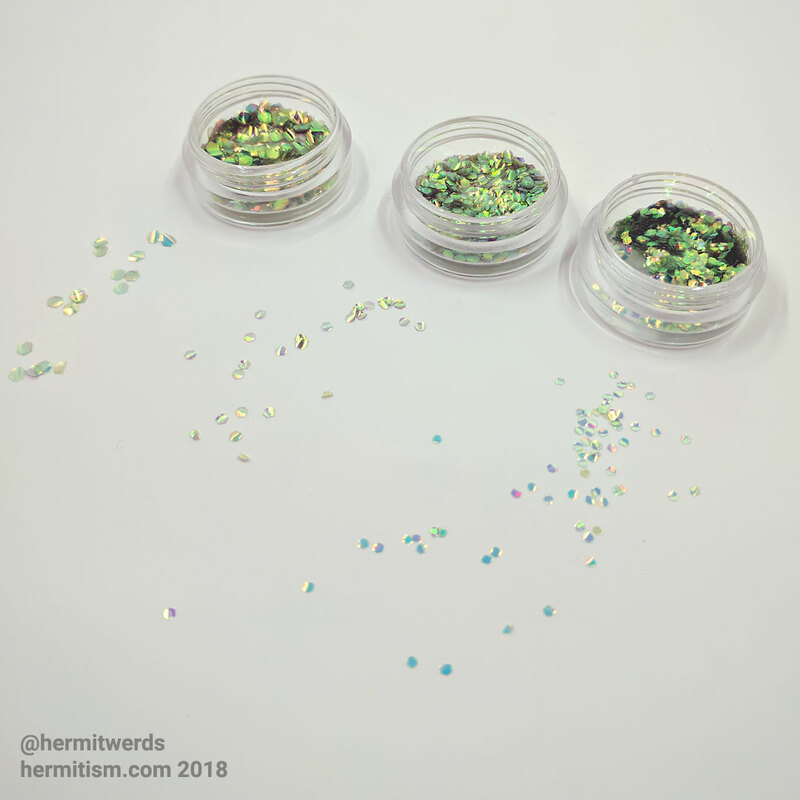 Today I am reviewing the set of sequins (2.5MM, 2MM, and 1.5MM) that Maggie from Beauty BigBang sent to me for review. First, I tried using the three different sizes of iridescent sequins in one look. I used the largest sequins first and each layer used a smaller sequin. I noticed the sequins themselves often had a curve. If you choose carefully and place precisely, the curve works to your advantage. If you are careless, the sequins fall off quickly. 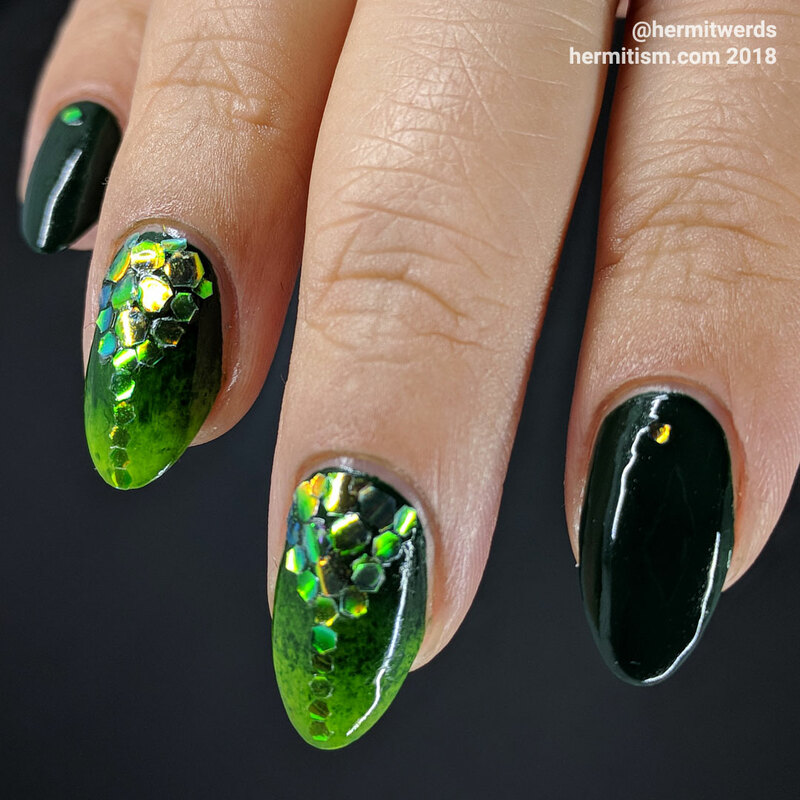 I suspect a clear builder gel would be best if you don’t plan on being careful, but I did not own any when I first painted this mani so I did my best to pick the right sequins and took my photos quickly. 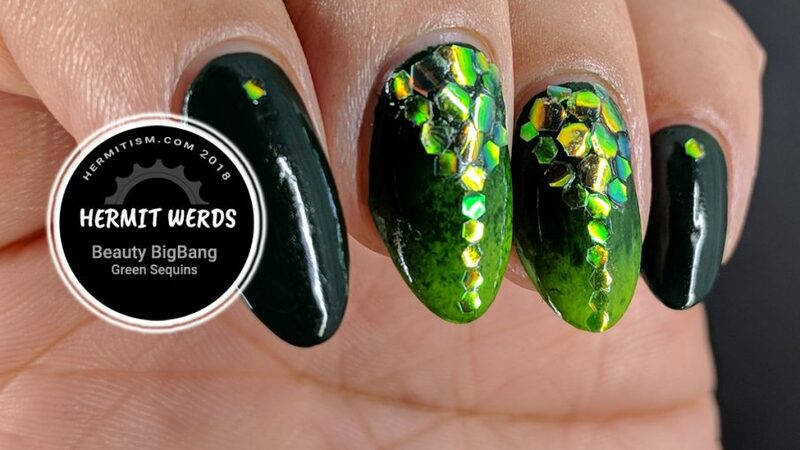 They are stunning in the light and add a nice shimmer to the nail. Finding the right angle to photograph them to show this off was less easy. If you like how this lovely set of sequins look, they are available for purchase at Beauty BigBang. I have the green ones, but they have a gold, red, blue, and white as well. Feel free to use the discount code provided to me (hermi) for 10% off. I do not receive any money if you use it. For my next experiment with these sequins I want to try using builder gel (which just arrived) and maaaybe the NFC light. I just wish I had a better device to show off the light because it only works on a teeny portion of my phone. Thanks for sending these sequins to me, Maggie!